At the Fence: Meeting Monday! Meet Leah at Learning 4 Keeps! Hello, everyone! I am so honored to be meeting each and every one of you "At the Fence." My name is Leah and I blog at Learning 4 Keeps where I share encouragement, faith, and resources. We feel that every day is an opportunity to learn togethr. Today, I thought I would share with you my story. Once upon a time, in a castle far away, there lived a princess. ;) LOL Well, not exactly but it is close! I married my wonderful hubby at 18 and I have never regretted it. 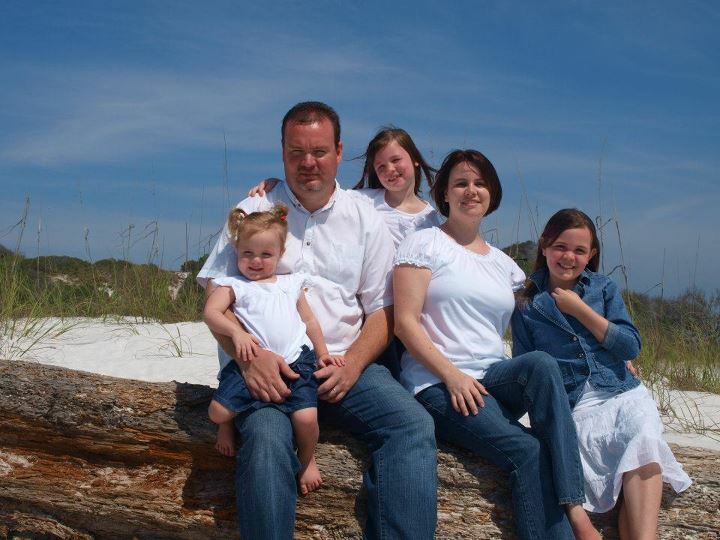 We have three beautiful girls and work together to pastor a church in the Sunshine state! I am formally a public school teacher who began to feel a pull to teach my children at home. It was something I never thought I would do before having them but now I don't want to have it any other way! It is such a blessing to be with them each and every day. I watch them grow and support them all that I can. However, let me say, it was a bit tough to let go of my income. It was a great blessing for us and there are times we miss it greatly. There came a moment when my hubby and I had to prioritize and set our goals. We then decided what we could live without and what we couldn't live without. We came to the conclusion that though we could adjust our living to fit a lower income, we could not adjust the loss of time down the road with our children. So, we decided to reorganize and make plans. About seven months ago, I began to pray for direction. I knew that I wanted to use my passion for learning, teaching, and curriculum but was unsure how without comprimising our desires to remain with my children. One day while visiting with my Mom, she mentioned a new adventure she had embarqed upon: blogging. A crazy new world I had never considered. I was intrigued. I began researching, reading, and planning. This was something I would love to do! That was the day Learning 4 Keeps was born and thus began a MAJOR learning curve. :) I am now writing for other blogs and expanding my own. I have also begun to research curriculum options for homeschoolers and share reviews on my blog to inform other homeschooling familes as to what is available to them. It has been one of the most exciting adventures to which I have ever been a part! Encouragement- There are days that I feel like a failure Mom. The dishes are not washed and we did our schoolwork in pajamas that day. sighhh.... But I jump online and see that I am not the only one! There are so many fantastic bloggers who share their frustrations and let us know that we all wear Super Mom capes underneath our yoga pants and ponytails. Inspiration- The homeschool is getting dull and your kids are whining about their schoolwork. sigh... Jump online and find a cute resource or project to add a little spice to the day. Super Mom strikes again! Connection- There comes a moment in each of our days where we begin to wonder what "big people's talk" actually sounds like. Ever been there? I have made great connections with so many on Facebook, blogs, and networks! I am able to use some of the words I learned while working on my Master's and I don't have to answer questions continually. Ahh..... it's the little things my friends! 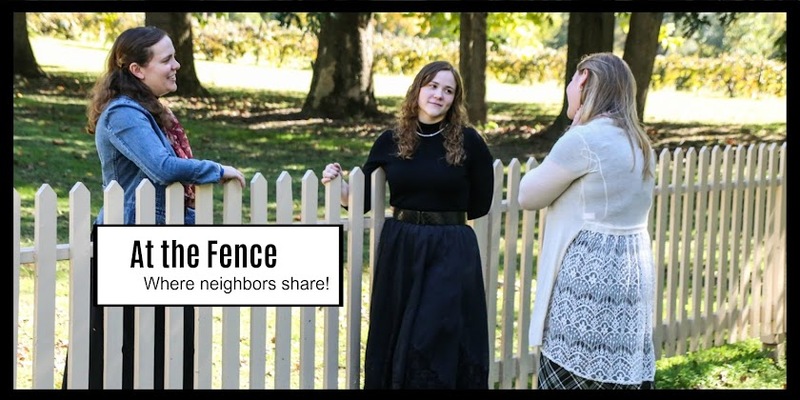 Those moments when you get to meet new friends... At the Fence! Thanks so much for readign and I hope you enjoy this little Valentine freebie! Just click the picture below. There are also Valentine freebies for Kindergarten and 2nd Grade as well. If you want to take a peek in my TPT store, I have resources for K-6 and many other freebies to check out! Just click here. Leah is a blogging homeschool teacher to students in K-3, 3rd grade and 6th grade. She also helps her husband lead a beautiful church in Florida! Reading is a love, music is a passion, and coffee is a necessity! You can find her at www.learning4keeps.net. It was nice to read about you and your family!